My Favorite Thing About Myself? I am shy about talking about the good things which identify me and present me as a person. The cactus on my deck stand still for most of the year, with no expressions except their green sides and thorns. I buy amaryllis, tulips, and daffodils in the winter, but they flower and die so I toss them out and wait. Then, with no prompting by me except some MiracleGro, the first cactus flowers appear. One more I go out and find a surprise in a red or pink or yellow bloom. The exaltations keep happening through December. I simply watch them appear and then disappear to be succeeded by a new blossom as if they decided on a schedule. 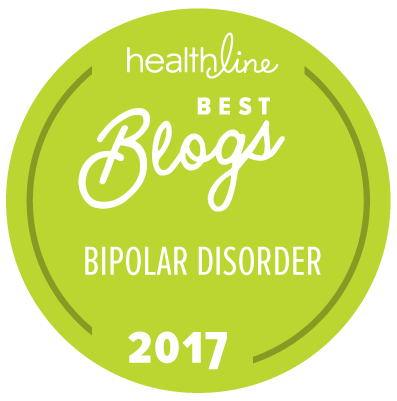 Healthline would like to congratulate you on making our list of the Best Bipolar Disorder Blogs of 2017! Cutup Speech — There May Be a Poem in Here?